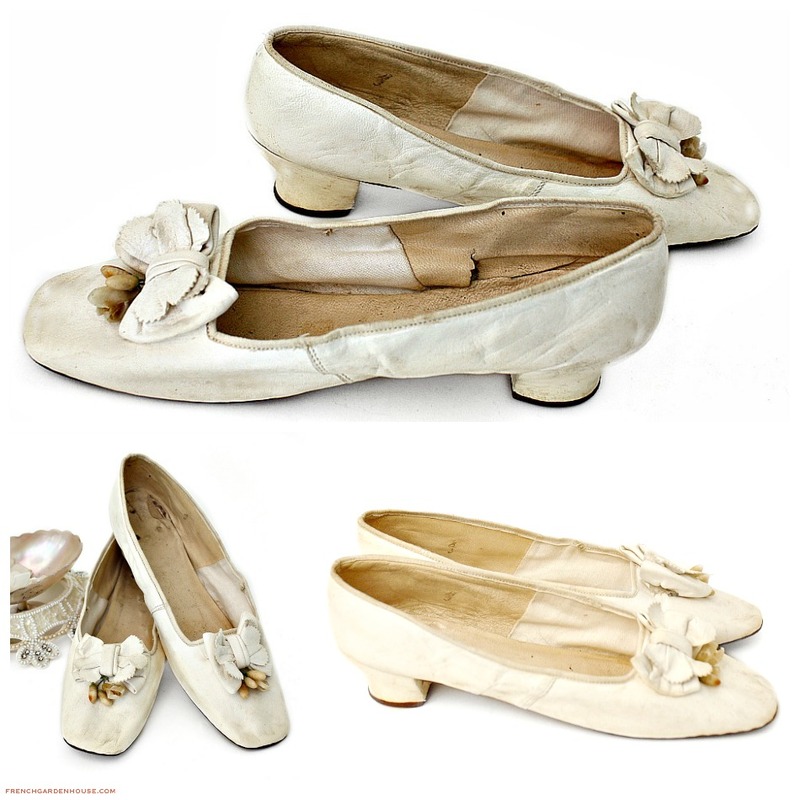 Amazing and quite rare to find, these mid 19th century Victorian Wedding Shoes for the Bride are made of white kid leather. 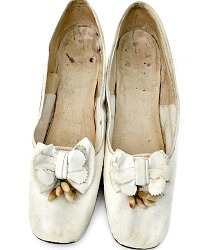 A leather bow adorned with wax orange blossom flowers and buds embellish the front instep vamps, these date to the late 1850s. 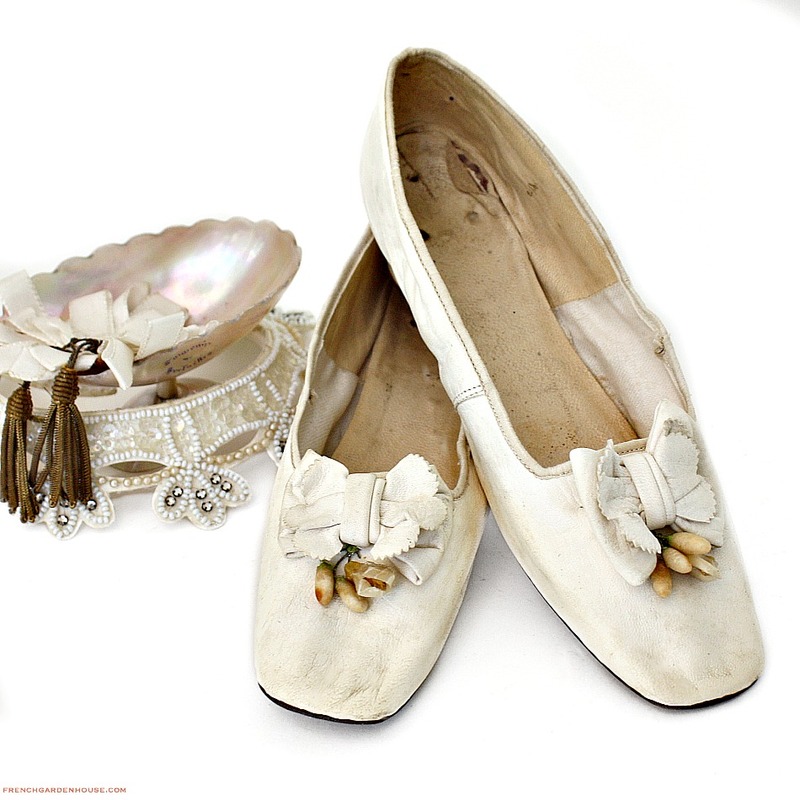 These beautiful bridal wedding shoes are a slipper style, with squared toes, the straight leather bottom soles have no left or right distinction. The low leather covered French Louis XV heel is in good condition, some of the leather on the inside of one is loosening, on the outside they are intact. Treasures for your collection of Bridal items, these were gently worn, with only some minor wear, scuff marks, amazing to display with your antique lace veils and wedding gowns. There were most likely silk ribbons to tie them on the leg, the ribbons are no longer there, you can just see where they were stitched on over a century ago. 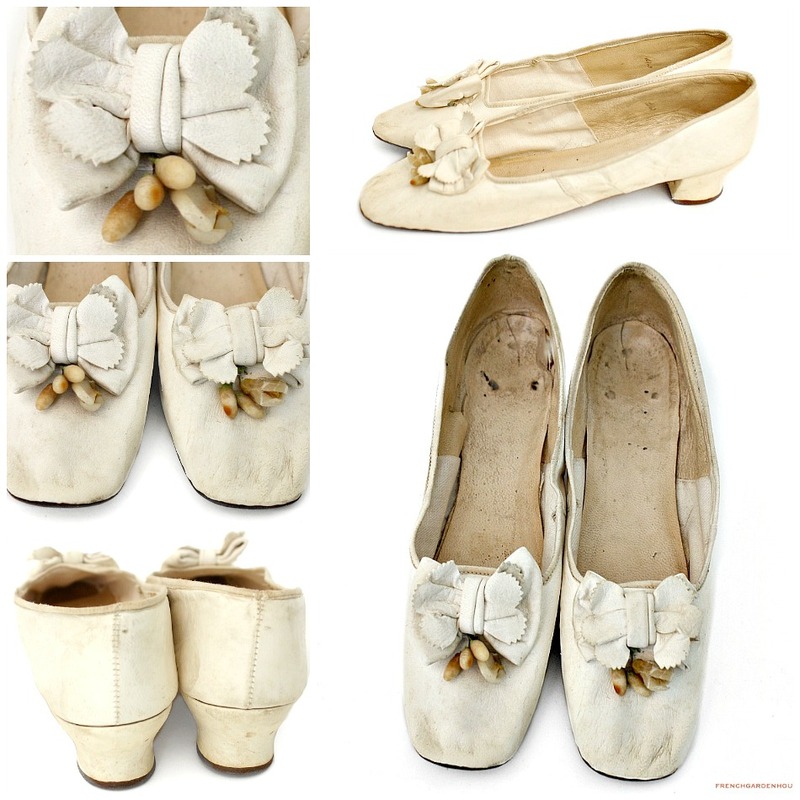 These delicate wedding slippers were probably reserved for evening dress or special occasions after the wedding, they are in such good condition for their age.